This badge was issued to Giampaolo Erriquez on 27 Jul 2016. 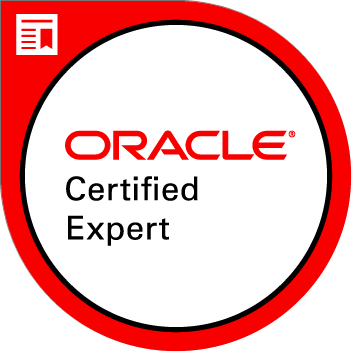 This certification has been retired by Oracle. Certified candidates retain access to the eCertificate, logo and the badge. They can provide certification verification to a third party through certview.oracle.com. An Oracle Database 11g Performance Tuning Certified Expert has demonstrated the ability to use Oracle Database 11g auto tuning features, including SQL Tuning Advisor, SQL Access Advisor, Automatic Workload Repository & Automatic Database Diagnostic Monitor.